Saturday - Cochecote hills to Sargents. 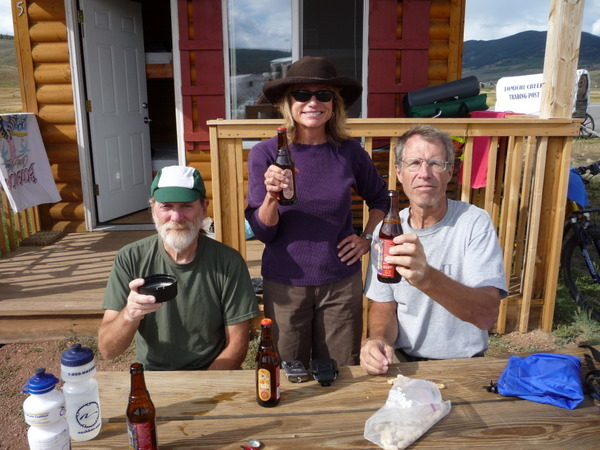 Tomichi Creek RV park. 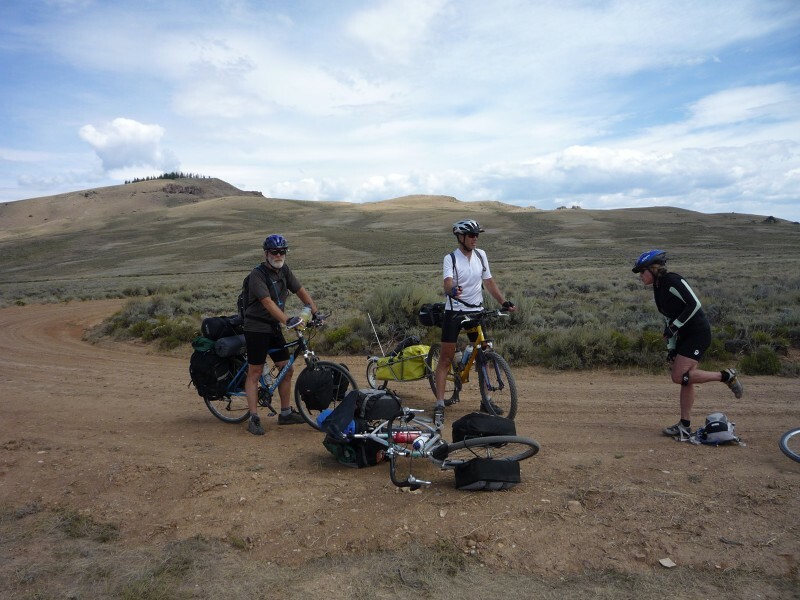 From Gunnison we met back up with Sharon and rode out in the Cochecote hills. This was all open barren land. The sky was cool. 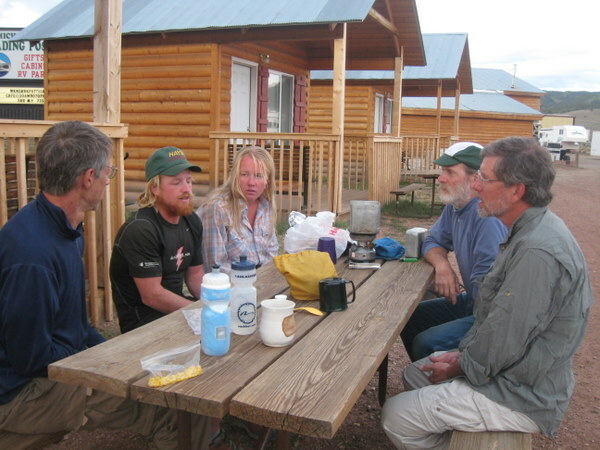 We then rode to Sargents and stayed in a small cabin at the Tomichi Creek RV Park. 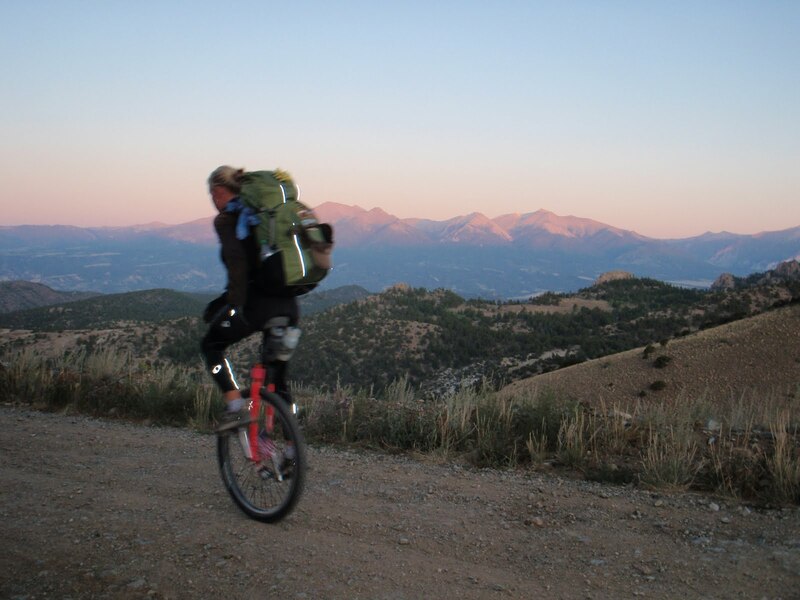 It was there that we met Matt and Gracie who were riding unicycles for the length of the continental divide. They have a website at http://divideby1.com. Andy really like the Cochecote Hills. I was less enthused by the barren terrain. I guess I just like trees too much. Camping in style at Tomichi Creek RV park. We were really impressed with Gracie and Matt and their tour on unicycles. They did the whole Great Divide MBT. This is from their website. Gracie on her unicycle. No panniers, so heavy backbacks. Amazing.